Tuesday, October 30th, 2018 at 4:31pm. What’s better than a golden retriever? 100 golden retrievers playing on a Jupiter beach and a golden retriever parade. Pictured on the right are litter mates and AKC Champions "Brody", "Yeager", and "Doak", provided by Jupiter Farms resident Bryan Amadio. 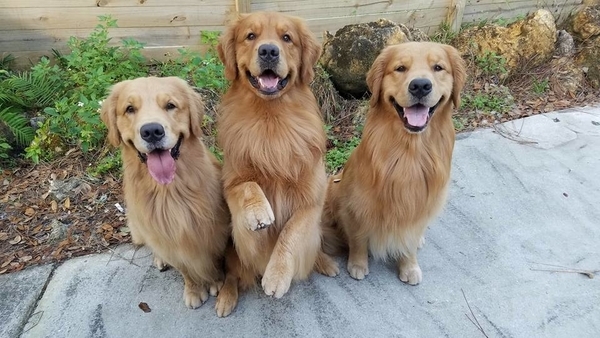 If you have one (or two or three) of these flaxen furballs, it’s that time of year in Jupiter to meet distant cousins and frolic with familiar friends at the 2018 Jupiter Golden Jubilee! The event will kick-off on November 3rd at 10 am at mile marker #27 at Jupiter’s Dog Beach for a “Blessing of the Pups” and photos. After the announcements and blessings, the pups will have a chance to socialize and play on the beach. Tuesday, October 30th, 2018 at 4:25pm. 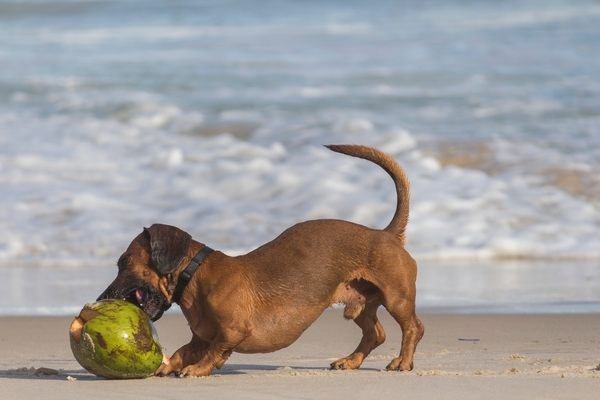 Jupiter is home to one of the few remaining dog-friendly beaches in the state of Florida, and dog moms and dads from all around frequent here to let fido play and socialize. Owner-supervised dogs are permitted to run free for the 2.5-mile stretch from beach marker #25 at Marcinski Road going north to beach marker #59 on the south end of Carlin Park. 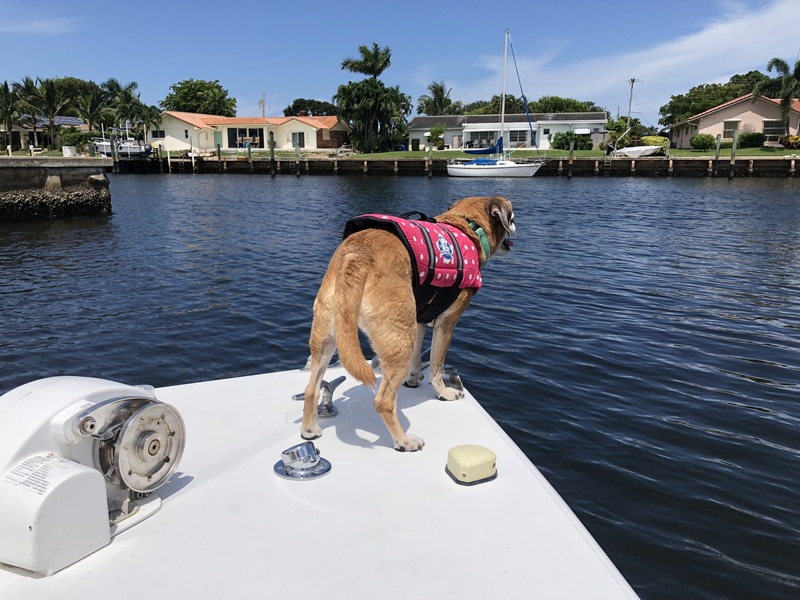 Jupiter's Dog beach is located just north of Juno Pier at 2188 Marcinski Road, Jupiter, FL 33477. Monday, August 13th, 2018 at 4:08pm. Leaving the house without my dog is probably the most guilty-feeling part of my day. When she realizes I’m leaving, she sits by the door with her nose down and the white of her eyes showing, looking up at me with those sad puppy dog eyes. Telling her she's not coming with me is the WORST! 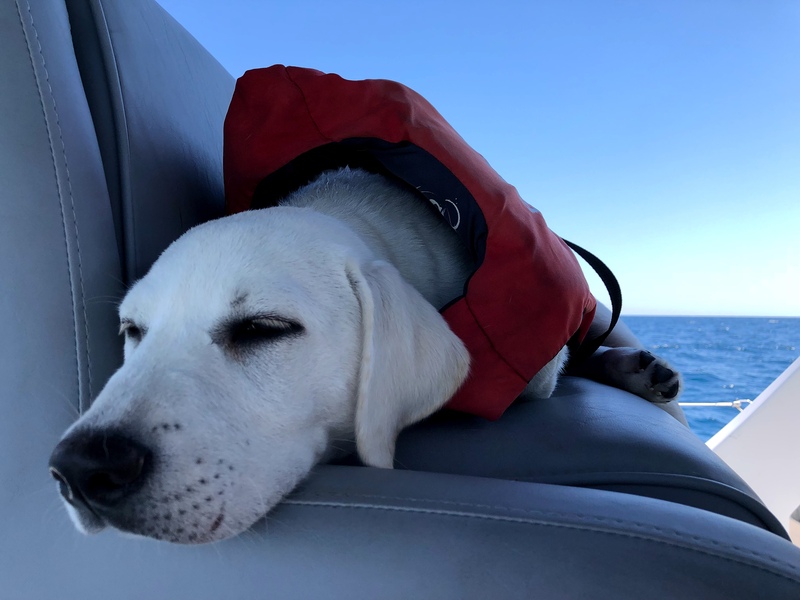 The good news is, we live in a place where most people love dogs, and besides dog-friendly restaurants and bars, we have dog friendly beaches and sandbars! It may be easy to bring them along, but besides obeying posted rules in the area, dogs do need special attention in order to make sure you both have tons of comfortable fun in the sun!